Could you tell me what changes you are most looking forward to at the Field Studies Council in 2019? "This year we are really looking forward to seeing more children getting active in the outdoors and trying new experiences. 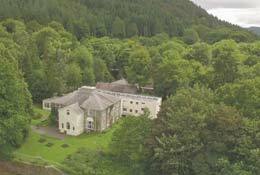 To facilitate this, selected FSC centres are offering exciting Adventure Residentials in 2019 which will include activities such as high-level mountain hiking, orienteering, bushcraft, team challenges, canoeing, gyll scrambling, rock climbing and abseiling as well as many sea sport activities! How important do you think children exploring nature is and what do you differently to make each child’s trip with you memorable? "We think that children exploring nature is very important as the environment is at the heart of everything we do. On our wild adventure’s children will see, explore and learn in a fun, engaging manner by immersing themselves in the natural world, taking in its sights and sounds and creating memories they can cherish forever. What do you think are the benefits of taking a child into the countryside and how does it impact their learning outcome? "Just getting a child into the countryside is a benefit to them, especially when more than one in nine children in England have not set foot in a park, forest, beach or any other natural environment for at least 12 months (Natural England survey published in 2016). On our residentials there will be natural pauses in our activities for children to reflect on their experiences e.g. after they have climbed up a rock face. This will help them gain a better understanding of their emotions, strengths, weaknesses and driving factors. Apart from the curriculum based programmes you provide what are your favourite activities you offer and why? "Our Primary Adventure Residentials are great for giving children an experience to remember. Children will engage in exciting activities such as climbing up mountainous rock faces, catching waves on beautiful beaches or canoeing along meandering rivers. This will give them the opportunity to do things they may not otherwise get the opportunity to do, returning home with stories to tell, new friendships that may last a lifetime and feeling like they can take on the world. If you were choosing one of your centres to visit, where would you go and why? "I would personally visit FSC Slapton Ley which is found in the South Devon area of Natural Beauty. I think it’s always great to visit a natural environment you aren’t used to and living in Shropshire means that I don’t get to visit the coast as often as I would like to. I also like the sound of the activities they offer on the Primary Adventure Residentials which include Orienteering, Bushcraft and Canoeing! What are the most important things teachers should consider when planning a residential trip with the Field Studies Council? "Teachers need to consider if they would rather take their children on a more curriculum based residential or more of an adventure activity filled residential. They also need to consider what Centre they are interested in and how far they are willing to travel. Can teachers run their own activities when they come to visit you or do you lead all of the activities? "FSC tutors run the timetabled activities throughout the day however from 19:00 onwards the school teacher can lead the group choosing to do what they wish. Teachers are always pressed for time, what do you offer in the way of support when booking a residential with the Field Studies Council? "All of our Centres have been awarded the Quality Badge by The Council for Learning Outside the Classroom. This means that teachers do not have to assess them and therefore have to complete less paperwork for their local authority. When booking, the group will be given one lead member of our delivery staff who will take the time to get to know your children and personalise the course to their requirements and due to our long-standing support staff, rebooking the following year is much easier. Once a teacher has booked a trip with you, what are the next steps? "Once a teacher has booked a trip, we will then send them a letter confirming their reservation, a reservation acceptance form, booking conditions, agreement for group leaders and insurance information. FSC provides journey insurance and public liability insurance which is automatically provided to all eligible UK FSC course participants at no extra cost. What types of kit should students bring with them when they come on their residential stay? "We have a kit list which we recommend teachers give out to students. It includes things like a towel, water bottle and changes of clothing in case they get muddy or wet. If schools are coming for an overnight stay what types of activities do you provide in the evening? "As said previously, this is the time when the school teacher may want to lead an activity but if requested an FSC led evening activity is available to keep children entertained, usually fun games or a movie. Why do you think The Field Studies Council continues to be one of the market leaders in Outdoor Education? "Every year schools trust us to provide experiences to over 30,000 primary-aged children. This is because we have enthusiastic and knowledgeable tutors, personal service, great outdoor activity choices and fantastic locations where children can develop their life skills. If you are interested in hearing a bit more about how the Field Studies Council can help you with planning your next trip then why not get in touch here. Experience amazing outdoor locations at Field Studies Council’s network of UK Centres. 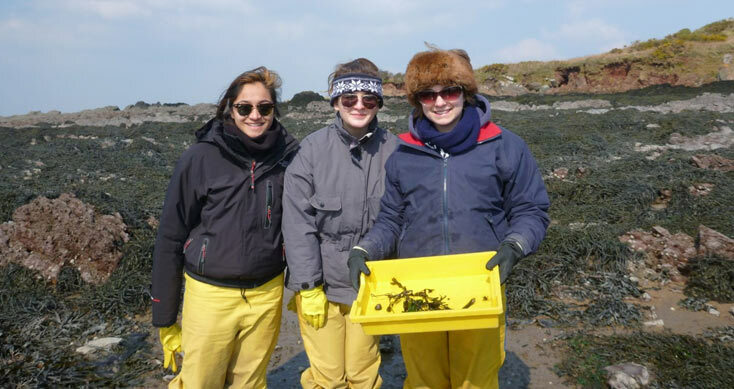 Our courses are all focused on students being immersed in the natural world. 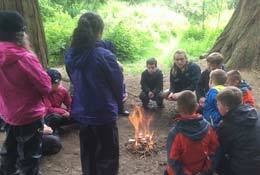 They also make use of the beautiful surroundings including using bushcraft skills. Flatford Mill in Suffolk offers fieldwork for all ages from its fascinating, historic location. Day and residential trips available at this Field Studies Council location. Two fantastic locations in Scotland offering Curriculum for Excellence linked fieldwork for all ages. Inspire your students at either Kindrogan, Perthshire, by the stunning Scottish Highlands, or Millport on the shores of the Isle of Cumbrae. Our fantastic Midlands locations are Preston Montford in Shropshire and Bishops Wood in Worcestershire. 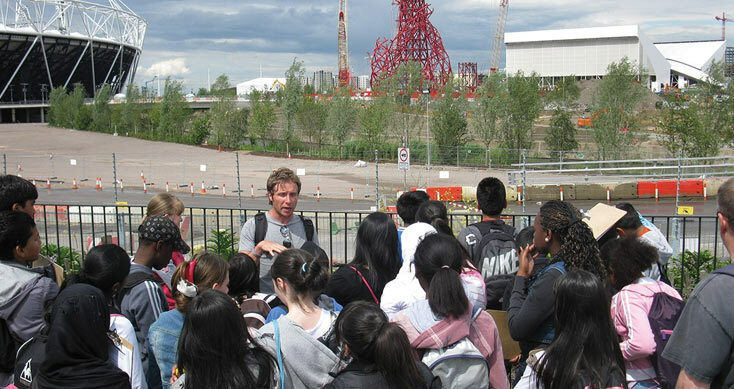 Both offer fieldwork for all ages to bring the curriculum to life. The locations are easy to reach while offering access to beautiful countryside. 3 fantastic locations across the Lake District and Yorkshire offering fieldwork for all ages to bring the curriculum to life. Discover the mountain scenery of Blencathra, adventurous grounds of Castle Head or lakeside location of Malham Tarn.